Founded in 2004, the Ensemble is a group of some of the finest musicians from the Twin Cities who present a series of Sunday afternoon concerts at Lake of the Isles Lutheran Church. 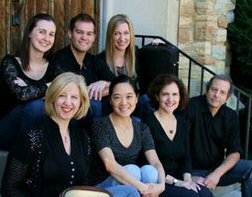 Chamber music is their passion and their mission is to help build a vibrant chamber music community in the Twin Cities. Reception to follow in the Fellowship Hall. For more information, visit www.islesensemble.org or call 612-669-2836.